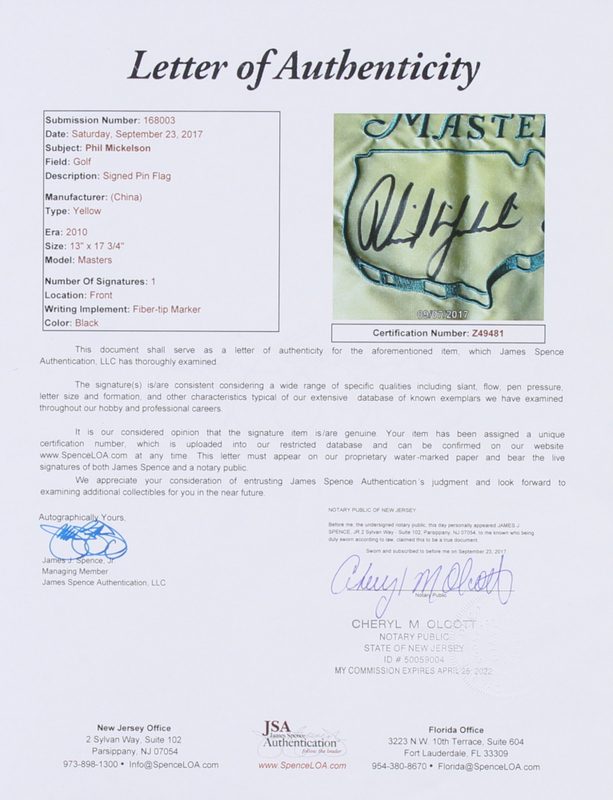 Masters pin flag measures approximately 13" x 17" in size and has been hand-signed in black felt-tip pen by Phil Mickelson (HOF). 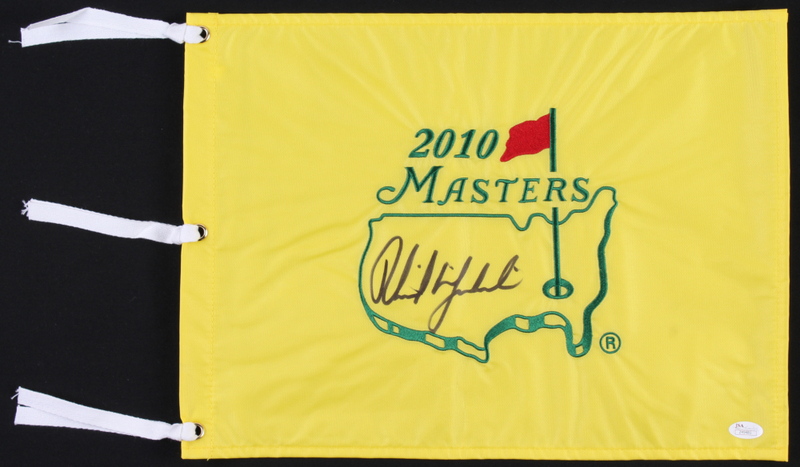 Philip Alfred Mickelson nicknamed Lefty, is an American professional golfer. He has won 42 events on the PGA Tour, including five major championships: three Masters titles (2004, 2006, 2010), a PGA Championship (2005), and an Open Championship (2013). Mickelson is one of 16 golfers in the history of the sport to win at least three of the four majors. He has won every major except the U.S. Open, where he has finished runner-up a record six times. Mickelson has spent over 700 weeks in the top-10 of the Official World Golf Ranking, has reached a career-high world ranking of 2nd several times and is a life member of the PGA Tour. 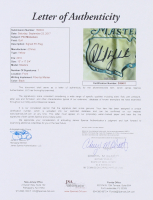 Mickelson is known for his left-handed swing, even though he is otherwise right-handed.